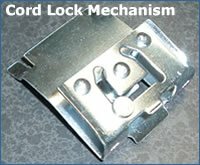 Take the headrail out of the brackets to remove the blinds. 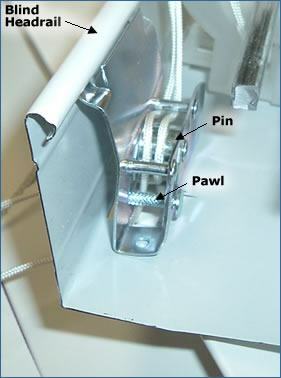 Using a screwdriver, push the pawl down in its track. Replace the blinds into the brackets.